Whether it’s time to build a strong online presence or there’s a specific campaign your business is running that could benefit from more qualified clicks, Search Engine Marketing (SEM) drives results. 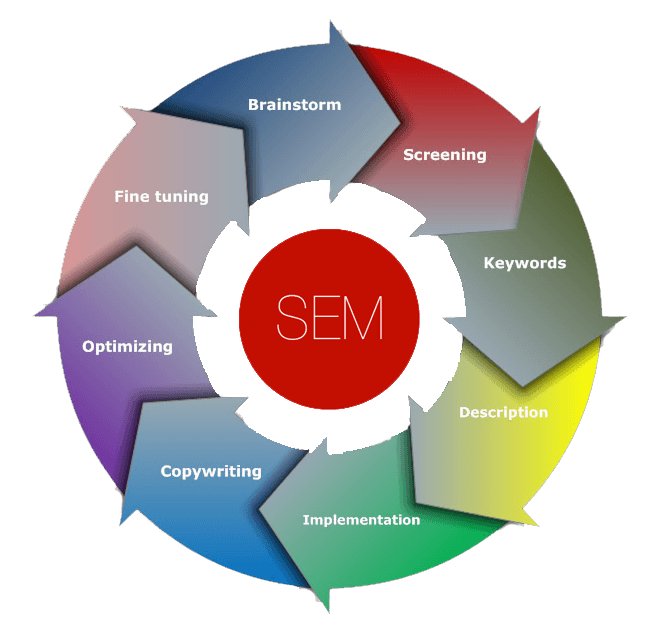 SEM involves a variety of distinct activities that are focused on promoting and advertising your website to increase visibility – and conversions – when people search for relevant products or services. At SEOTonic, we are proud to offer our clients a progressive and fully integrated approach to SEM that is designed to not only meet, but exceed campaign expectations. Carefully laid out SEM campaigns are built upon a solid Search Engine Optimization (SEO) strategy that is meant to increase visibility in search engine results pages. When coupled with a sound website SEO strategy, SEM campaigns can help clients earn valuable search engine rankings so their websites appear in top positions when potential clients search for products or services. Ranking high in search results is simply critical for any company that wishes to generate business via the internet. Websites that rank high in results gain more visibility whereas those whose entries appear on page two or 20 of a search may never get noticed or clicked on. SEM is a critical part of an overall strategy meant to boost rankings and results. Unlike a standard SEO strategy that seeks to generate organic, or unpaid traffic, SEM typically involves pay-per-click (PPC) advertising and other similar tools. Paid placement helps ensure higher rankings when a potential customer types in a relevant keyword or phrase into a search engine. The two strategies dovetail to increase website visibility, which in turn, drives traffic and potential new business in a client’s direction. SEOTonic’s passionate team of consultants is standing by to help clients get the most from their SEM advertising investment. Our team works with clients directly to create custom SEM campaigns and SEO strategies that can catapult a business and its website into the very top reaches of search engine results. Our team delivers the expertise, skill and experience necessary to develop and deploy SEM strategies that produce results on the local, regional, national or international level, depending on a specific client’s unique needs. To find out more about creating a winning SEM strategy, contact us today! The talented team at SEOTonic is standing by to help clients enjoy the best results from their SEM investment.